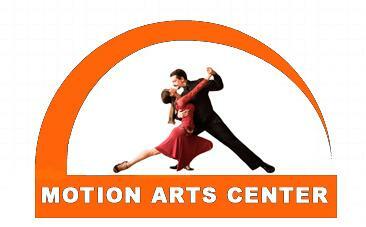 3 DAY INTENSIVE WORKSHOPS + MILONGA SENTIMENTAL GALA & SHOW with TANGO MAESTROS CARLITOS ESPINOZA & NOELIA HURTADO! REGISTRATION IS NOW OPEN! LIMITED SPACES AVAILABLE, SIGN UP SOON! SCHEDULE: Saturday Date: 8/19/2017 Workshop #4 From: 1:00 pm - 2:30 pm "Mastering the Dance Floor": Great Tango Sequences for Small Spaces (ideal for a crowded milonga). Saturday Date: 8/19/2017 Workshop #5 From: 2:45 pm - 3:15 pm Leader's and Followers Tango Technique with Carlitos & Noelia. Saturday Date: 8/19/2017 Workshop #6 From: 3:30 pm - 5:00 pm "Milonga with Traspie": Contention of the movement to create accelerations while dancing milonga. MILONGA SENTIMENTAL GALA & SHOW: Saturday Date 8/19/2017 from 9pm-1am Milonga Tango Party with DJ Gustavo Hornos TANGO SHOW BY CARLITOS ESPINOZA & NOELIA HURTADO! SCHEDULE: Sunday Date: 8/20/2017 Workshop #7 From: 1:00 pm - 2:30 pm "Action & Reaction in Tango Dancing": How the Leader and Follower can communicate and play to understand the follower's suggestions or back-leading. Sunday Date: 8/20/2017 Workshop #8 From: 2:45 pm - 4:15 pm How to "Correct and Compensate" in Tango dancing. Sunday Date: 8/20/2017 Workshop #9 From: 4:30 pm - 6:00 pm "The Art of Sacadas": The importance of changing the body position according to the variety of movements we want to perform. We are Tango event organizers, professional teachers, dancers and choreographers in the San Francisco Bay Area, California, USA.